The health and safety of our human and equine athletes and the integrity of our sport are horseracing’s top priorities. The Safety & Integrity Alliance is horse racing’s key mechanisms for implementation of important safety and integrity initiatives on a uniform basis nationwide. 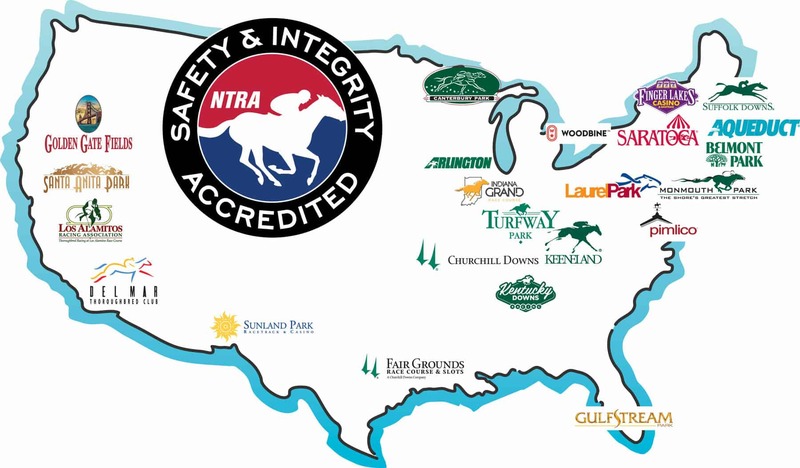 The NTRA Safety and Integrity Alliance Code of Standards lists all standards with which accredited racing facilities must comply. Each year’s Code contains new standards and protocols, thereby continuously raising the bar for accreditation, compliance and excellence in racing. Racetracks must complete an application and undertake an on-site inspection as part of the Alliance accreditation process. The application covers the following areas: (1) injury reporting and prevention; (2) safety equipment and a safer racing environment; (3) medication and testing; (4) health and safety of jockeys; (5) aftercare of equine athletes; and (6) wagering security. Mike Kilpack has been the NTRA Safety & Integrity Alliance’s primary security and integrity consultant since 2010. Kilpack also leads the annual Breeders’ Cup Equine Enforcement Team. And, he is a member of the American Quarter Horse Association (AQHA) Equine Enforcement Team working with both the Texas Racing Commission and the New Mexico Racing Commission. In 2015, Kilpack and his Organization of Racing Investigators (ORI) Integrity Team managed security for triple crown winner American Pharoah at Belmont Park, Saratoga and throughout the Breeders’ Cup at Keeneland. Kilpack has 30 years of law enforcement experience. He was the Supervising Investigator for the California Horse Racing Board (CHRB) southern region enforcement division for 25 years, retiring in 2009. Prior to the CHRB, he was a state investigator with the Department of Alcoholic Beverage Control (ABC) and a fire fighter with the California Department of Forestry (CDF). Mike is an executive board member with the California Winner’s Foundation, and past chairman with the Organization of Racing Investigators (ORI) and the Fraternal Order of Police (FOP). He holds a Bachelor of Arts degree in Criminal Justice from California State University, Sacramento and resides in Long Beach, California. Steve Koch took over as Executive Director of the NTRA Safety & Integrity Alliance in April, 2015. Koch previously served 12 years at Canada’s Woodbine Racetrack, where he was Vice President of Racing from 2008 to 2015. As vice president he oversaw all aspects of the Thoroughbred racing product as well as the company’s Racing Surfaces, Grounds, Stables, and Fleet divisions. From 2003 to 2008 his Woodbine career included Director of Racing and Director of Backstretch Operations. 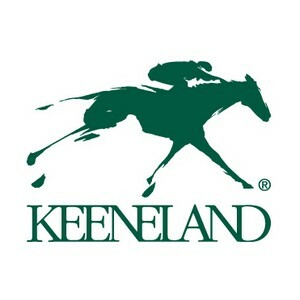 Prior to Woodbine, Koch worked at Keeneland in Lexington, Kentucky and he was raised as a horseman at Claiborne Farm in Paris, Kentucky. He holds a Master of Science degree from the University of Kentucky. Steve participates on various industry boards including the Racing Officials Accreditation Program, Racing Surfaces Testing Laboratory, The American Horse Council’s Unwanted Horse Coalition, and the Welfare and Safety Summit’s Racing Equipment & Safety Committee. Dr. Ron Jensen has been the primary veterinary and regulatory consultant for the NTRA Safety & Integrity Alliance since 2009. Dr. Jensen’s 42 year previous career as a regulatory veterinarian included 10 years as the Equine Medical Director for the California Horse Racing Board (CHRB) and 32 years as a commission veterinarian for the Illinois Racing Board. Dr. Jensen is an honor roll member of the American Veterinary Medical Association (AVMA) and the American Association of Equine Practitioners (AAEP). He formerly served on the AAEP Board of Directors including terms as chairman of the Racing Regulatory Committee, and as a member of the Ethics and Infractions Committee. He was the regulatory veterinary advisor for the Racing Medication and Testing Consortium (RMTC) when it was first formed and has served as Chairman of the Veterinary Advisory Committee for the Association of Racing Commissioners (ARCI). Also, he has been a member of the Grayson Jockey Club Scientific Advisory Committee and a member of the American Horse Council Health and Welfare Committee. Internationally, Dr. Jensen was a founding member of the International Group of Specialists Racing Veterinarians (IGSRV), serving first as the North American Representative, and later as president and then treasurer. He also was the IGSRV representative on the Scientific Advisory Council for the International Federation of Horseracing Authorities (IFHA). Dr. Jensen has been a member of the Standing Committee, the Management Committee, and the U.S. Organizing Committee for the International Conference of Racing Analysts and Veterinarians (ICRAV). He and his wife currently reside in Davis, California where he is the secretary of the Kiwanis Club of Davis. Dr. Durenberger first began working on the racetrack in 1991 as a veterinary assistant at what was then Canterbury Downs in Shakopee, MN. She received her veterinary degree from Cornell University in 2002. Following an internship at Rood and Riddle Equine Hospital in Lexington, KY and a short time in private practice, Dr. Durenberger went back to the racetrack. She was employed as an association veterinarian for the New York Racing Association from 2003-2008. She left New York for California in 2008, working as Commission veterinarian for the California Horse Racing Board from 2008-2010 while completing a law degree. Following a term as an association steward at Delta Downs in Louisiana, Dr. Durenberger accepted the position of Director of Racing for the Massachusetts Gaming Commission. Serving in that capacity from 2012-2015, she oversaw and was the responsible regulatory authority for all pari-mutuel and racing-related activities at the Commonwealth’s Standardbred, Thoroughbred, and simulcasting facilities. She returned to Canterbury Park in 2016 as a steward for the Minnesota Racing Commission, and recently re-joined NYRA with the title Chief Examining Veterinarian. Dr. Durenberger is an accredited steward and member of the Racing Officials Accreditation Program Education Committee. An at-large member of the ROAP executive board, she also serves on the American Association of Equine Practitioners Ethics and Professional Conduct Committee and on the Jockey Club’s Racing Equipment and Safety Committee. Some of her most satisfying work comes from her involvement with the National Thoroughbred Racing Association’s Safety and Integrity Alliance. Jim Cain is a frequent security and integrity consultant for the NTRA Safety & Integrity Alliance. Jim benefits the Alliance with his 40 years of law enforcement experience that includes Chief of Enforcement with the Kentucky Horse Racing Commission. Cain began his career with the Louisville Police Department rising thru the ranks to Lieutenant where he commanded the department’s Special Weapons and Tactics Team, Street Crimes Unit, Repeat Offenders Program, and commanded the LPD / ATF joint task force on crimes with gun violence. Jim also served in the Patrol Division as an officer and as a commanding officer as well as the Homicide Division, Narcotics Division, Auto Theft, and White Collar Crimes Unit. After 22 years with the Louisville Police Department, Jim accepted a position with the Jefferson County Sheriff’s Office as a Lieutenant Colonel where he served as Commander of Operations. After retiring from traditional law enforcement Jim joined the Kentucky Horse Racing Commission where he enforced Criminal Law and Administrative Regulations as applied to the Kentucky horse racing industry. His responsibilities’ included five Thoroughbred tracks, three Standardbred tracks, and over 20,000 licensed individuals. He continues to serve on a joint task force with the TRPB and other officers from the various horse racing jurisdictions to help maintain the integrity of major horse racing events such as the Preakness, Belmont Stakes, and Breeders Cup. Jim recently has retired (again) from the Louisville Metro Police Department where he was the Director of the Mayor’s Executive Protection Team. Jim attended the University of Louisville where he studied Criminal Justice Administration. He is a graduate of the Federal Bureau of Investigation National Academy in Quantico Virginia, Secret Service School in Washington D. C., along with numerous seminars at the Southern Police Institute at the University of Louisville. Jim is an active member of the Organization of Racing Investigators (ORI). Jim Gates is a regular racetrack operations consultant for the NTRA Safety & Integrity Alliance. Gates 20 year career in thoroughbred racing includes 14 years at Churchill Downs Incorporated (CDI). His tenure there included 7 years as General Manager of Churchill Downs Racetrack, in which he was responsible for all frontside and backside operations. Additionally, for 3 years he oversaw mergers and acquisitions activity as Vice-President, Development. As Churchill Downs’ General Manager, Jim spearheaded CDI’s “Safety from Start to Finish” initiative. 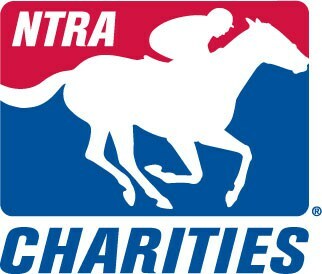 This initiative emphasizing safety for human and equine athletes resulted in Churchill Downs being the first track accredited by the NTRA Safety & Integrity Alliance in 2008. Jim also was instrumental in the track’s $121M renovation project, and he led CD’s first-ever experiment with night racing. Subsequent to his time at CDI, Jim spent three years as the CFO/COO of Dale Romans Racing Stable. Jim previously has served on the Board of Directors of the Racing Medication & Testing Consortium, Racing Officials Accreditation Program, Racing Surfaces Testing Laboratory and Thoroughbred Racing Associations. As a founding member of Gates Consulting LLC, Jim currently serves as the Senior Director, Finance for the Muhammad Ali Center, as well as the Chief Financial Officer for Interapt, LLC. Jim is a CPA with a B.S. from the University of Dayton and an MBA from the University of Notre Dame. Richard Lewis has been a racetrack operations consultant for the NTRA Safety and Integrity Alliance since 2009. He is presently a Safety Steward with the California Horse Racing Board. From 1998 – 2008 he served as Director of Racing at Bay Meadows and from 2006 – 2015 he held the same position for the Sonoma County Fair. Richard trained horses on the Northern California racing circuit for 24 years prior to his position at Bay Meadows. Lewis currently serves on the Northern California Equine Foundation hospital board. An alumnus of the University of Arizona Race Track Industry Program, Dan began his career in horse racing at the American Quarter Horse Association in 1981 as the Assistant Director of Racing and was promoted to the position of Executive Director of Racing in 1984. In March of 2003, Dan was named the Executive Vice President and Executive Director of The Jockey Club in Lexington, Kentucky. In 2010, Dan retired from The Jockey Club and began a second career as a racing official accepting a position as State Steward with the Indiana Horse Racing Commission working at Indiana Downs and Hoosier Park. In 2011, he was hired as the Director of Racing/Racing Secretary at Remington Park in Oklahoma City, Oklahoma. In 2013, Dan returned to the stewards’ stand as a State Steward at Suffolk Downs in Boston, and is currently the Association Steward at Prairie Meadows Race Track & Casino in Altoona, Iowa. Dan is also an association management consultant who has done strategic planning facilitation for the Racing Officials Accreditation Program, Groom Elite Program, California Thoroughbred Breeders Association, Texas Quarter Horse Association, Thoroughbred Retirement Foundation, Kentucky Horse Council, Racing Medication and Testing Consortium, Race Track Chaplaincy of America and the Grayson-Jockey Club Welfare and Safety Summits of 2006 and 2008. Dan has participated on a number of industry boards and committees, including the Racing Medication and Testing Consortium (Chair), Racing Officials Accreditation Program (Vice-Chair), American Horse Council’s Racing Advisory Committee (Chair), USDA Equine Species Working Group (Chair), Unwanted Horse Coalition, International Stud Book Committee, International Federation of Horse Racing Authorities Technical Advisory Committee, Advisory Council of the Race Track Industry Program at the University of Arizona, Groom Elite Program and the Racetrack Chaplaincy of America (President). Dan received the University of Arizona Race Track Industry Program Distinguished Service Award in 1992 and the John K. Goodman Award as the outstanding alumni in 1998. Most recently Dan was recognized by the Association of Racing Commissioners International as the 2016 recipient of the William May Award for service to the horse racing industry. Cathy O’Meara is currently The Jockey Club Manager Industry Initiatives and Racing Officials Accreditation Program (ROAP) Coordinator. She has been with The Jockey Club since 2006 and ROAP since 2010. In her current position, O’Meara assists with industry and safety initiatives such as the Welfare and Safety of the Racehorse Summit (WSS) and Equine Injury Database. Additionally, she represents the WSS at the American Society for Testing and Materials International (ASTM) to keep current with standards affecting our industry and provide valuable input from the committees. As the coordinator for ROAP, O’Meara oversees its day-to-day operations. She also works with the universities of Arizona and Louisville to coordinate accreditation and continuing education seminars for stewards and judges. Prior to her role with The Jockey Club, O’Meara was a Thoroughbred trainer, exercise rider and farm/office manager. O’Meara graduated from Virginia Tech with a bachelor’s degree in animal and poultry science. She obtained a master’s degree in business administration from Sullivan University. Dr. Greg Taylor has been a racetrack regulatory veterinarian in thoroughbred racing for over 40 years. In 1976 he was employed as the Commission Veterinarian for the Ontario Racing Commission at Greenwood, Woodbine and Fort Erie Racetracks. He served in this capacity until he retired in 2010. In 2011 he became Association Veterinarian for the Woodbine Entertainment Group at Woodbine Racetrack in Toronto. At present Dr. Taylor is a member of the veterinary panel for the Breeders’ Cup races and a veterinary consultant for the Safety and Integrity Alliance of the NTRA.